American Wildlife Studios, Inc. owned by David and Sandra Spiess. 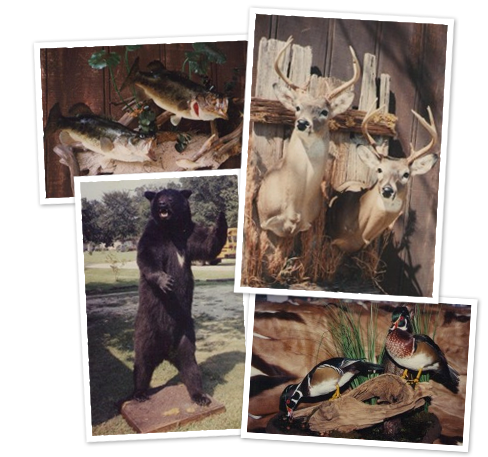 We have served South Louisiana since 1978 when we opened as a full time Baton Rouge Taxidermy Studio. American Wildlife Studios Inc. is a full service professional taxidermy studio serving South Louisiana for over 35 years. Located in the Baton Rouge, LA area we also serve Gonzales, Hammond, Lafayette, Opelousas and Denham Springs. Since 1978 we have completed many other projects such as Exhibit building for Zoo’s, Theming for many Restaurants, Retail stores and Casino’s, Residential Game Rooms and display Mounts.